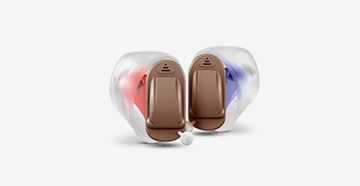 Hearing Devices Westlake Village | Hearing Aids Thousand Oaks, CA | Second Chance Hearing, Inc.
We also carry custom swim plugs, musicians plugs and hunters protection. Perhaps you or someone you care about is having difficulty understanding what seems to be heard by others. Social settings and entertainment that were once enjoyable are now frustrating and confusing. You may think someone is mumbling or not speaking loud enough, but it just might be a loss of hearing. Denial, anxiety, embarrassment or even a feeling of helplessness may result in an unwillingness to face the reality of hearing loss. It is not uncommon to ignore the friend, family member or doctor that suggests a visit to a hearing expert. Second Chance Hearing’s doctors and staff have a standard of care the expresses compassion and respect. We have a modern facility with the latest technology in our field. Our audiologists are experienced in treating all ages-from pediatrics to geriatrics. Our Doctors of Audiology are trained to provide the latest in digital hearing aids from over 10 major manufacturers. This digital technology along with their expertise and research, allows for high satisfaction from the patients. As audiologists, they have specialized equipment that encompasses real ear measurements during the fitting of the hearing aids. This allows for the correct and appropriate prescription in the hearing aids. There are many choices of hearing aids. 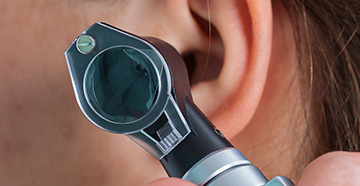 To determine the best fit for each patient, the audiologist will discuss lifestyle, cosmetic concerns, size and shape of the ear canal and the ear, styles of hearing aids, degree and type of hearing loss and budget. Our audiologists are extensively trained and knowledgeable about present research and hearing aids in the current market. Each person is unique and every person requires a different hearing aid. Therefore, having options provides the best chance of success when wearing hearing aids. Standard behind the ear, mini/micro behind the ear, receiver in the canal, full shell or in the ear, half shell, in the canal, completely in the canal, invisible, extended wear hearing aids, and water proof hearing aids. Hearing aids can now be paired with Bluetooth cell phones, GPS systems, TV systems and other microphone units which allow for direct input of the signal into the hearing aids without the background noise. Enjoy listening to a cell phone conversation or music through both ears with a richer sound quality than in the past. Remote controls are also available with some hearing aids. The SoundCure Serenade has unique S-Tones which allows for relief of tinnitus. Several hearing aids incorporate melodies, tones, noise and other sounds to assist in tinnitus relief as well. All of our devices are customized per patient based on results from the tinnitus evaluation (completed by our doctors of audiology). These tinnitus devices allow for short term relief as well as long term relief through our tinnitus management program. 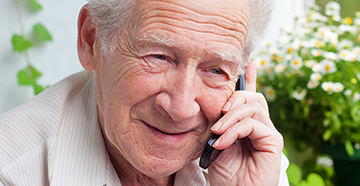 Our practice is partnered with CaptionCall, CTAP (California Telephone Access Program), and CapTel to provide amplified and closed captioned telephones. When hearing aids are no longer providing enough speech understanding or clarity, Cochlear Implant may be an option. We evaluate your ability to understand speech in quiet as well as in noise with your current hearing aids. Results of this evaluation will determine if you are a Cochlear Implant candidate. With new advances in technology and clearance through the FDA, Cochlear Implants can now be an option for patients with all degrees of hearing loss. For example, Cochlear Implants have a Hybrid™ solution which allows restoration of the high pitches while improving your low pitches. Cochlear Implants can now be paired with Bluetooth cell phones, GPS systems, TV systems and other microphone units which allow for direct input of the signal without the background noise. Remote controls are also available. 45 Day Satisfaction Period for all Hearing Aids and Tinnitus Devices!